For many, the American Dream is just another catch phrase, or some afterthought on some discovery channel reality show. For some, it’s more than just a Fourth of July bumper sticker, it’s a lifestyle, steeped in one’s own version of what they’d like their life to be. It’s the freedom to risk it all, rather than submit to the norm. In many ways nothing demonstrates true freedom like a bicycle, or the American Dream like independent bike shops. A bicycle transcends every socioeconomic aspect of American culture. They empower people with the freedom to express themselves, or simply provide transportation to work, a grocery store, or anywhere your imagination can lead you. A local bike shop can foster these ideas and with some effort, grow a strong community around bike riding. Although a crucial element in the bicycle industry, small bike shops often face an uphill struggle against larger merchants, mail orders, and quite simply existing in a tough economy, with seasonal clientele. 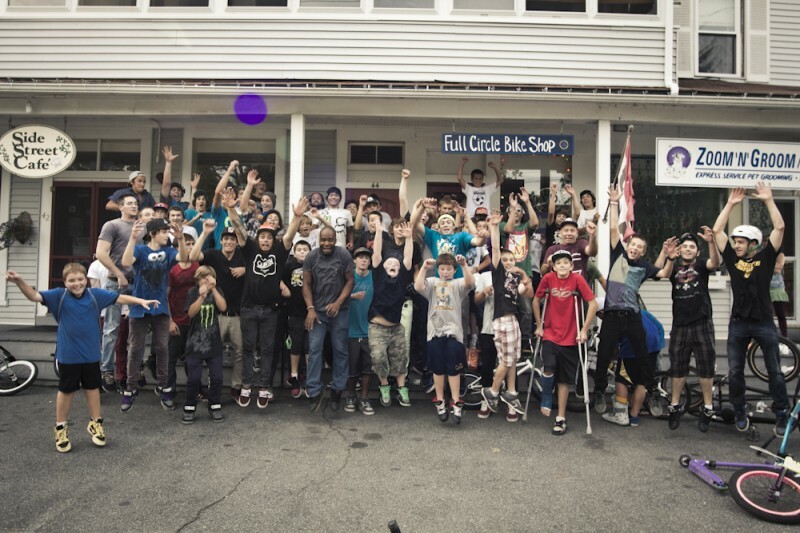 Even with these challenges, Jason Graves at Full Circle Bike Shop in Florence, Massachusetts, is brave enough have his go at the American dream. For more information visit Full Circle online.